GTS has just completed the shipping of 37 vehicles and racing supplies totalling 120 tons of freight to the Qatar Racing Club..
GTS has completed the project in Abu Dhabi, UAE to grind and polish the new the Yas Marina Circuit drag strip..
GTS has completed the project in Doha to grind, polish, and prep the Qatar Race Club's new track. GTS was contracted to acquire one of these limited production cars with a mission to find a low serial numbered vehicle. We acquired the rights to purchase the vehicle before production was started and the car was delivered in the very first shipment by Chevrolet. GTS was hired to negotiate an exclusive distribution agreement with Knipschildt Chocolatier, the maker of some of the world's most exclusive chocolates. As part of the agreements our client also acquired the exclusive rights to open Chocopologie restaurants in the UAE, Qatar, Bahrain, Saudi Arabia, Oman and Kuwait. GTS has completed the project in Manama, Bahrain to grind, polish, and fill major dips in the the BIC drag strip..
2007 Dubai Auto Show features a car sold by Gulf Track Services to client in Umm Al Quwain at the show entrance. 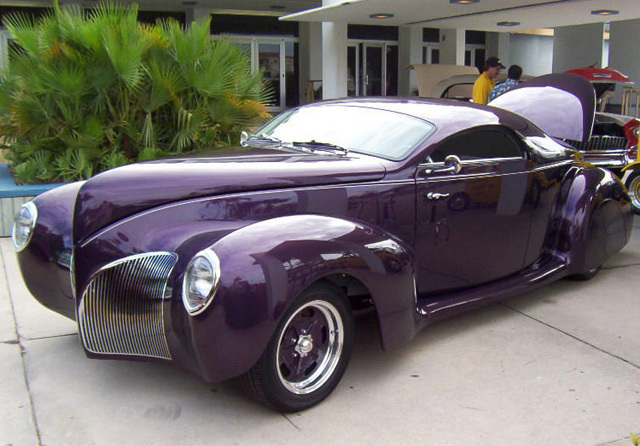 In 2006 GTS acquired a 1939 Lincoln Zephyr for a client. This impressive car was put at the entrance to the 2007 Dubai Auto Show.The 1939 Lincoln Zehyr. Gulf Track Services was formed by American drag racing enthusiasts to procure the latest state of the art supplies for the Middle East. Clients to date include the Emirates Motorplex Raceway, Bahrain International Circuit, and the Doha Race Club. Since 1989 we have been providing our Middle East Clientele with cars of all types, boats, high end jewelry, hunting supplies and just about any other products these wealthy individuals have requested. If you have already purchased an item in the US, feel free to contact us for the logistics of exporting the items from America and importing them into your country. We have local import agents in the UAE, Qatar and Bahrain. If you're looking for any items from America please contact us with your needs and we will be happy to quote you for purchase and delivery. No item is too large, no item too expensive. We look forward to hearing from you and adding you to our long list of satisfied clients. Copyright © 2010 Gulf Track Services All rights reserved.